One of the best parts of being a bridesmaid this year was I finally got free reign to pick out my own dress (well, within parameters, I suppose. Otherwise I’d just be wearing this or this to every wedding I go to). But as soon as I started my search, what I learned was that traditional bridesmaid dresses often fall into two categories: affordable bridesmaid dresses (aka sub $200) that are boring, and S-T-U-N-N-I-N-G bridesmaid dresses that cost a fortune. It was particularly hard to find dresses that felt special enough in the $200 range ($300 got me closer, but I learned the hard way that $300 dresses come with $100 alteration fees. And sadly, I do not have a money tree growing in my backyard, so I could only get away with that mistake once). So today, we’ve rounded up forty-seven bridesmaid dresses that cost less than $200 but will make you feel like a million bucks. Pro-tip: If your bridesmaids come in a range of shapes and sizes, traditional bridesmaid dress designers often carry a wide variety of sizes (typically from 0–28.) So your best bet might be the most obvious one. 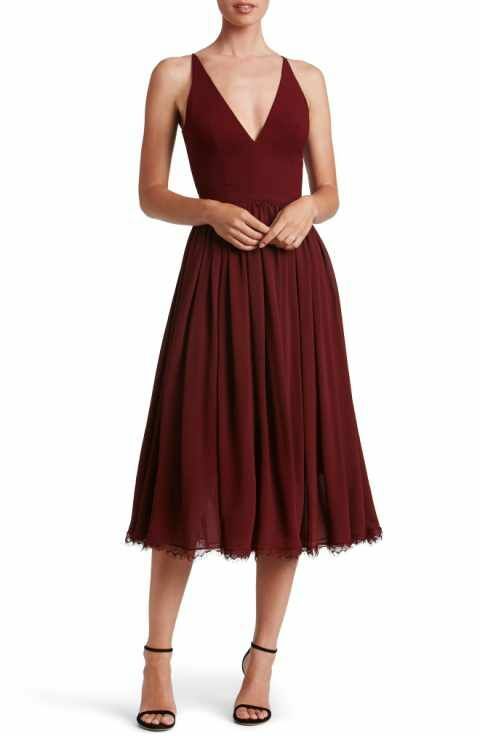 Where are your favorite bridesmaid outfits from? show us some of your best looks in the comments!